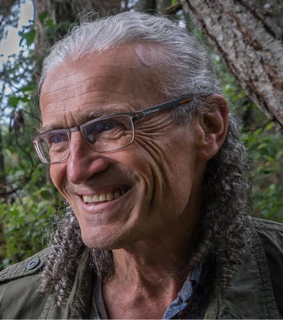 Dr. Roland H. Guenther is a homeopathic practitioner living in Royston, BC, together with his wife Dr. Barb Fehlau. He offers appointments in the Comox – Courtenay area as well as in Victoria. Modern technology makes it possible to offer long distance treatments for people who are living anywhere in the world. After 30 years of practicing homeopathy, I am still thrilled by the profound healing my patients experience with the gentle approach it offers, even in severe or chronic cases. This website offers information about homeopathy, my practice, and related events. For information on my services, please visit my Services page. Or feel free to book a Free Pre-Consultation. Homeopathy is a complete, independent healing system that focuses on your unique condition and needs. According to the World Health Organization, it is the second largest and fastest-growing medicine system in the world. It helps in cases as simple as colds, as acute as ear infections and as chronic as asthma and auto-immune illnesses. Homeopathy also offers healing for emotional and mental issues, like anxiety and depression, as well as the resolution of past abuse issues. The basic idea of homeopathic treatment is that the prescribed medicine stimulates the natural recuperative process. The disease resolves naturally as you recover. This gentle approach encompasses healing effects on all levels of your being – physical, emotional, and mental. To contact Roland H. Guenther please use this form or phone (250) 650 1662.